I'm not sure if anyone has mentioned this yet, but there is a new multi-story office building coming to the intersection of broad and liberty streets in downtown. 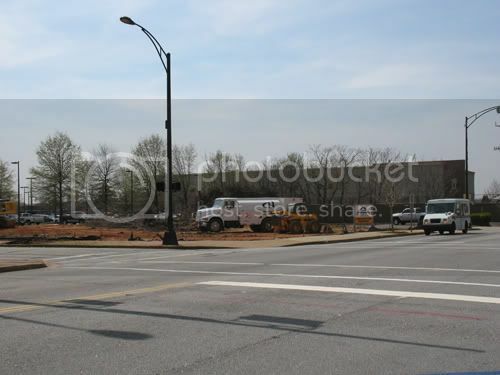 It also appears that work is progressing well on Johnson's new buildings on Main. The Mary Black Foundation building also has the scafolding off the front of it. The new rails-to-trails project is starting construction soon and should be completed by this May. 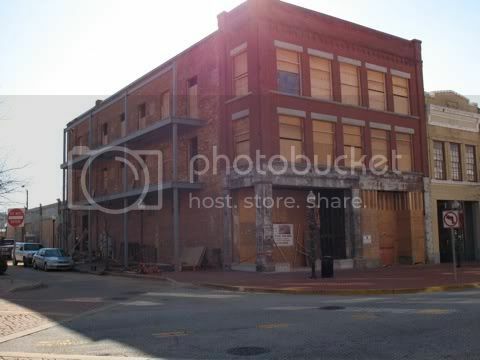 I've heard that the building at Liberty and Broad will be similar to the one on Liberty and Main, so while it is a multi storey building, it is not a large building. I just hope that it will have ground floor retail. Word in today's H-J is that Johnson Development Associates in partnership with others will construct a 4 story condo at the corner of Liberty and Broad downtown. 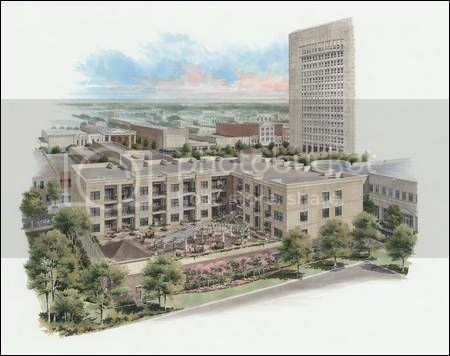 Also, the Palmetto Building (former Belks) will convert it's apartments into condos. This is great, but it looks like it will be another typical Johnson 4 storey building. Doesn't sound like any store fronts either. I would be surprised if it didn't have storefronts. What a shame to lose/waste that much street-level access. Johnson has never built anythink that is mixed use. I would think that with a project such as this, he would want to build mixed use. Peopel generally don't want to have their front window looking directly out at cars. Still it is good news for downtown living in Spartanburg. I am glad to know that these will be more reasonably priced condos with a better location. I have said all along that they won't sell anything on the Renaissance Park site because its future is still way too uncertain. They also can't ask $200k for them either. They just won't sell here. 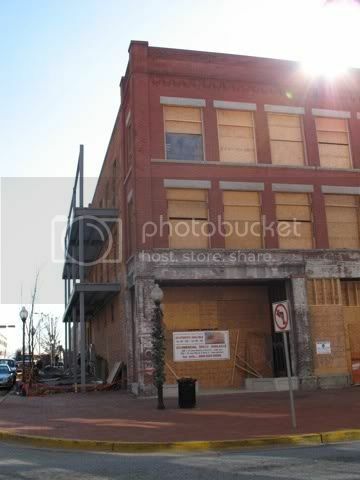 The article also mentions that they are turning the opper floors of the building on Liberty & Main into apartments. I agree with you Spartan. The condo's Johnson Development will build is good news, but they really need to go mixed use. Can you imagine if all the buildings he has done were mixed use and the ground levels were retail/restaurant? The impact would be much greater and the city would have much more character and life. I am afraid if he doesn't start with mixed use soon he is going to take up so much of the City's Center with nice buildings, but with little life and character. He is also keeping all his buildings in the 3-5 story range as they said they would always do, but overall great news again from Johnson Development. I'm ok with buildings of that height. Skyscrapers are just eye candy at this point. Mixed use should be mandated in the CBD. i found out from a reliable source that the condos will not be mixed use and the bottom level may serve as parking. You know, its a catch 22 with Johnson. I mean, he has done so much for this town, and downtown, but he can't see past that single use mentality. I am afraid that may end up hurting Spartanburg in the long run. That's too bad. Someone should e-mail him and ask him if he's ever thought of doing any mixed-use projects downtown. It's not only better for the city, it's better for him as a developer. I would consider it, but I dont want to piss anyone off as I plan to work in a a similar field some day. If anyone else wants to volunteer it would be appreciated. maybe he can point you to a better person to ask. Mr Johnson doesn't have his email posted. i'd be willing to e-mail someone, or better yet talk to them. seriously, all the new buildings and infill are wonderfull, but it would be so much better if they were mixed use. That would be most appreciated, emo. That project it great because this was a somewhat prominent eyesore, being on a corner lot. The exterior is nearly finished now. Windows look great, etc..... These are the only pictures I have though. Windows, french doors and front facades are almost completed. You can see the sheet rock work inside. No mention of downstairs tenants yet that I saw. There is a ton of renovation work going on down Main Street. Hope they fill up soon. OK, I actually took pictures of that project during my photo spree; I just didn't know that was it. I wouldn't mind seeing some updated photos once someone gets the time to take some. This image appears to be 3 stories, but its just the angle. The common area is refered to as a "terrace" so its definitely 4. I'm looking forward to seeing some rendering from the front. It has that interesting looking thing on the corner. The article goes into a little more depth on Redevelopment Associates, of which Johnson is a part, and gives a little more detail on the units themselves. All of which is designed to attract young professionals downtown. It would be very exciting to be one of the first permanent residents downtown in probably 60 years, if not more. I'm just excited that these things, while "luxury" are actually priced at a reasonable level for this city, and that they are built in an area where people would acutally want to live within walking distance of restaurants and shops- as opposed to the Renaissance Park area. I'm disapointed that there will not be additional floors to this development. The 4 floor barrier still exists in Spartanburg. However, that dissapointment is far outweighed by the fact that this project is moving forward. Mixed use is key, and I am glad to know that Johnson does this type of thing now. Hopefully the future will show us that more of his projects are mixed use. I still can't picture how he's going to get parking on this site in addition to the building itself. The hard copy of the paper had a front elevaton picture. Great blend of brick and the solid finish. My eyes are getting old because the picture with the L shape doesn't look like it will fit on the site without tearing down some of the Carolina Cash parking garage. (which they need to do anyway before it falls down) I guess I need to walk out there next week and give it a better look. This is great news for the downtown, mainly because the players are proven, with names like Barnet, Zimmerli and Johnson. I hate that it is only 4 storeys but at least they did add mixed use. Any chance you have access to a scanner? I originally thought the same thing. I'd like to see the front... maybe if gives a different perspective. In his rear image, if you check out the left side of the building, it looks like the edge of it is parallel to the side of the third building that fronts Main. And if you check it out on this map, you can see that is perfectly aligned with the edge of 155 Broad. The catch is that the redering here does not have any surface parking shown. 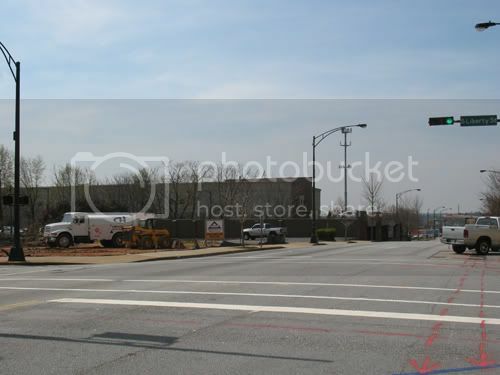 Knowing that, it may be that they are going to tear down or perhaps rennovate the Carolina Cash garage. Something definitely needs to happen with that thing. Perhaps that front elevation would clear things up? The parking is underneath the 155 Broad condo building. The entire first floor is parking, except for the 3 retail spaces on the corner of Broad and Liberty and mechanical rooms. 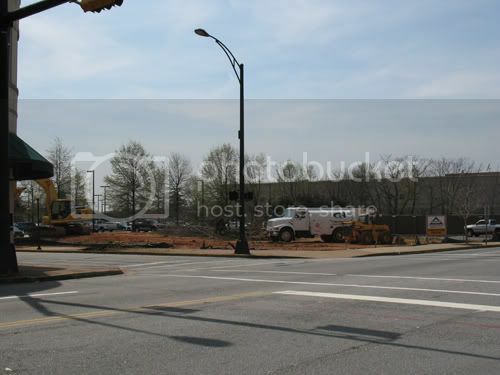 There is no need to tear down the Carolina Cash parking lot to do this project; however I would still like to see it go, the condo site is self contained. I am disapointed that the building is not taller, but it is a great addition to downtown Spartanburg and at least the developers are starting to do mixed use. Now we just have to hope for the 4 story barrier to be broken. I really like the look of this development from the rendering posted. While I wish that they had gone higher as well, I think that the demand of this one could make a case for the future developments to reach higher. The prices look great. 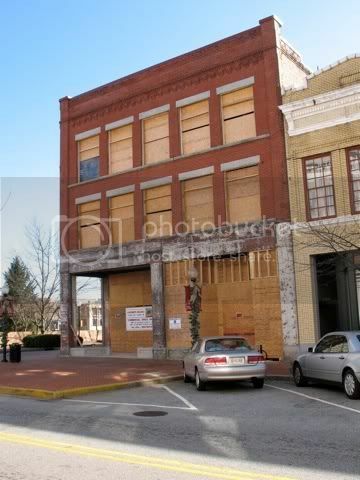 Of course, I'm not sure about the square footage, but this seems like a good time to own a piece of downtown Spartanburg. 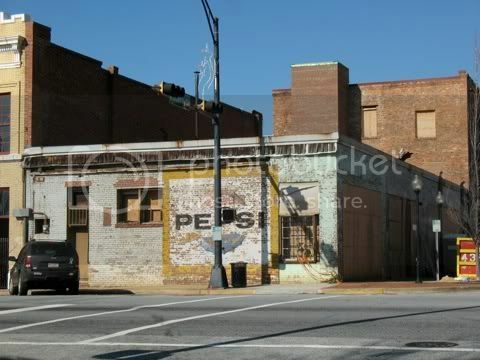 The building looks quite in context for downtown Spartanburg, although I think it would look better if brick were a part of the facade as well. At any rate, it's a great first step.